On Monday Nike held an event in Paris to showcase their upcoming releases for the 2019 Women's World Cup. This meant the release of the kits for those teams competing that are represented by Nike. 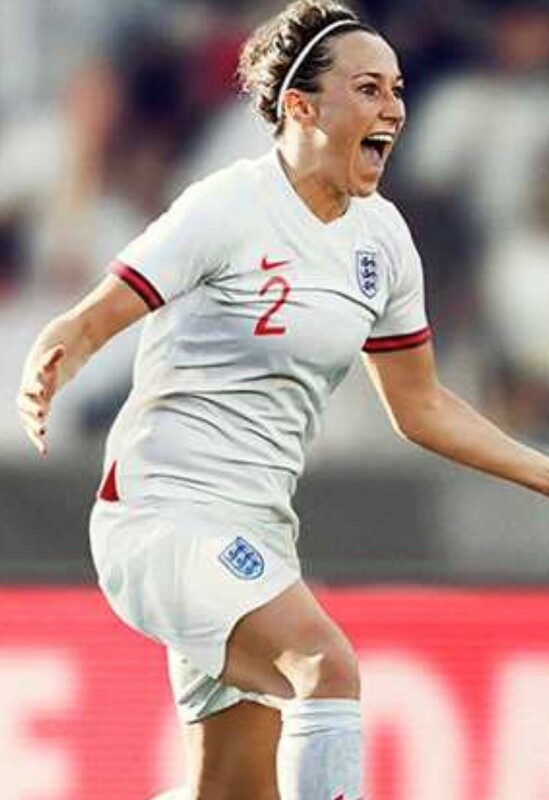 I have to admit I was not disappointed at all Nike have really pulled it out of the bag and it is so nice the Women getting their own kits for a change. I know from experience that the ones designed for the men (which some teams have been having to play in) can feel too fitted, Nike have come out and said this is what most male players prefer however, for some people fitted really is no benefit and in facts restricts you. To make sure your jersey isn't fitted you would usually have to go up a size and have far too much excess material. Having these women's jersey and shorts should benefit the players quite a bit and help them play the best they can. I am really hoping this white England kit grows on me but at the moment it isn't jumping out on me at all, it just looks so simple and basic. I quite like the red Nike swoosh and number on the front with the red on the sleeve but that is literally it. Maybe if I get to see one close up or see the players in them I may change my opinion but for now I just hope it grows on me. It is totally the opposite though in regards to the red (away) jersey it was basically love at first sight. 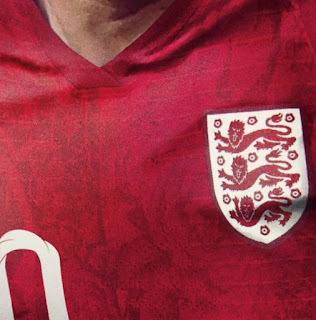 red jerseys are some of my favourites and the way they have the flower prints embedded in this one to represent England it is perfect. 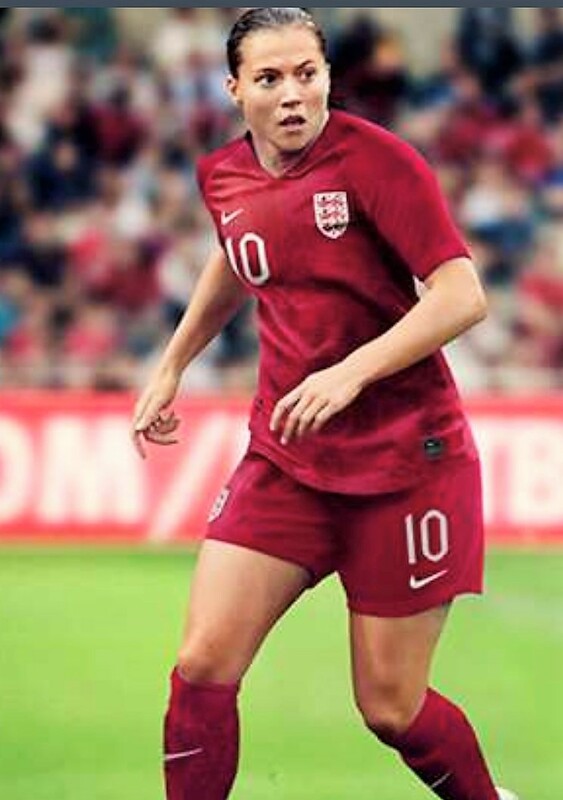 I think the best part is how the pattern is so subtle yet catches your eye more or less straight away as it isn't just a basic jersey, plus the pattern even runs down to the socks, Nike really haven't missed anything in the terms of this kit and I think the fans of the Lionesses are going to be after this kit to show their support. I think the USWNT kit could very easily be my favourite. They have taken it back with the white jersey which is inspired by the 1999 kit especially with the name and number design which I am excited to see. The sleeves and socks are also inspired by the 1999 kit. On the shorts there is also the 2 tone stars for the previous world cup wins. The kit is lighter than back in 1999 thanks to Nikes advancing technology and at just 7.15 ounces in weight it is bound to benefit the players. One thing that I love about the white kit is that it has all 50 states embedded in the design, I guess the players really are carrying the nation and representing every state when they put the jersey on. Don't get me wrong I love the white one but I rarely wear white jerseys and the red one just really stands out to me. The red jersey and solid blue socks work really well together and the jersey itself has the stars and stripes incorporated into it. I love how they have reverted back to their patriotic red, white and blue I think they are some of the best kits they have had lately. The Australia jersey is definitely one of the stand outs for me that has really grown on me, when they were leaked I wasn't too keen but after seeing Sam Kerr wearing hers on Monday I absolutely loved it. The jersey definitely is unique and stands out from the crowd, I think the most impressive part is that in a matter of days they sold out of the men's cut. Which just shows what good marketing can do. 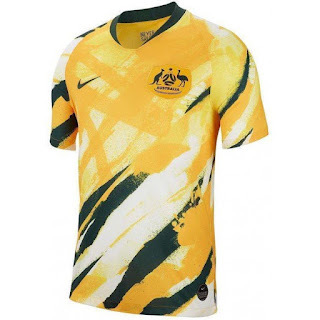 I can't wait to see the Matilda's wearing this jersey in the world cup. 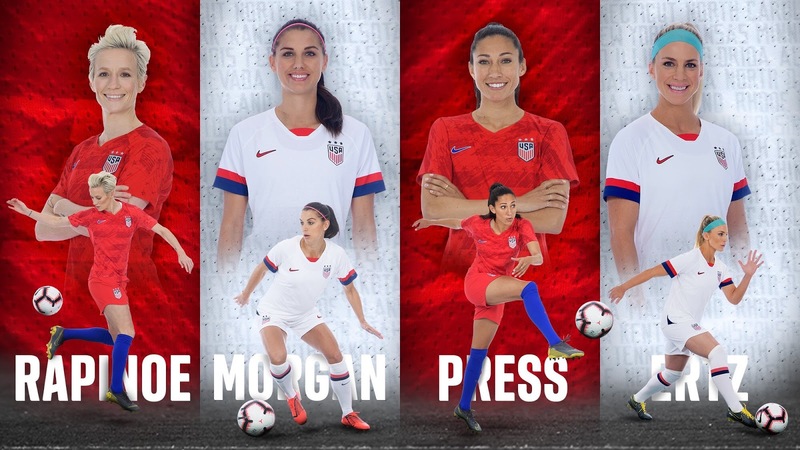 I think I will definitely be picking up the England and USWNT red jerseys (if they do them over here that is) and I am sure I will be getting plenty of wear out of them too. 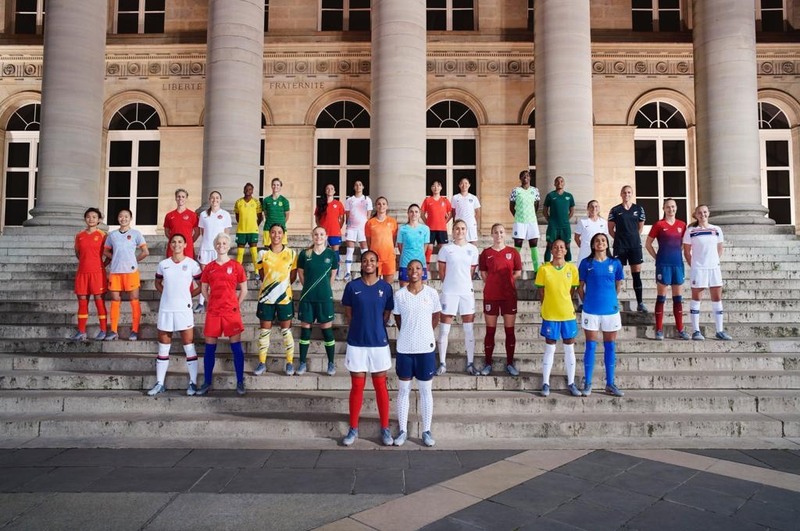 I can't wait to see the players of all nations wearing their teams colours this year as Nike have done a fantastic job. 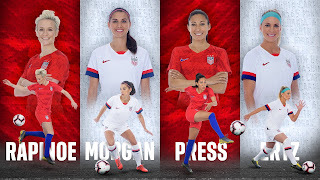 *photos from thefa.com , Nike & USWNT twitter.